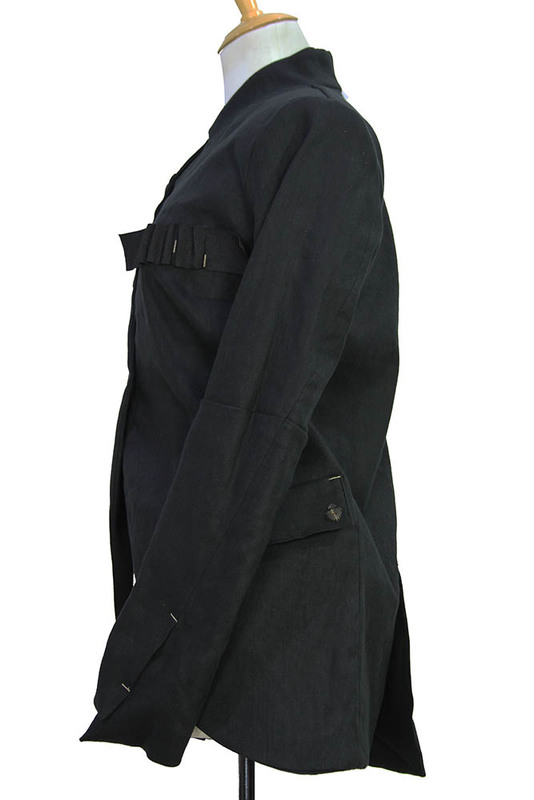 Nostrasantissima jacket in black linen mix. 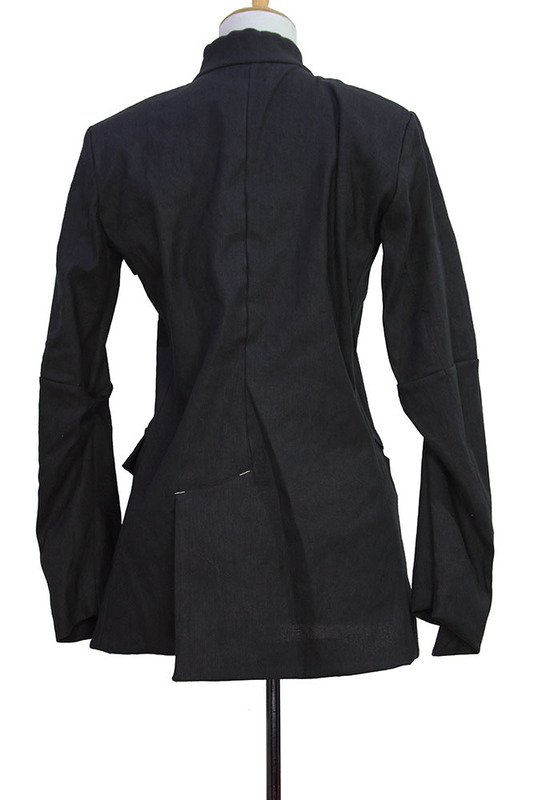 Rounded neck with very short lapel with irregular notches. 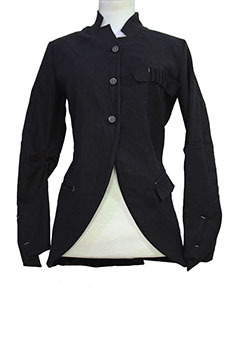 3 button fastening. Cut-away style. Looped braid detail on left chest (Pen holder?). 2 angled pockets, the left with flap and the right without. 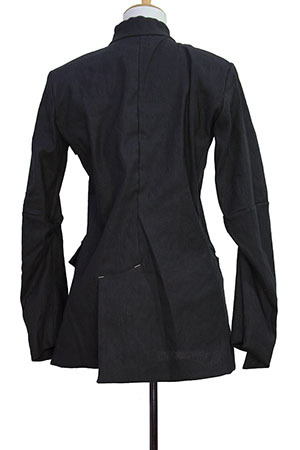 Elaborate articulated arms and elegant pointed cuffs with vents and stitch detail. Off-centre vent at rear. A stunning jacket, beautifully crafted and tailored, quite superb!